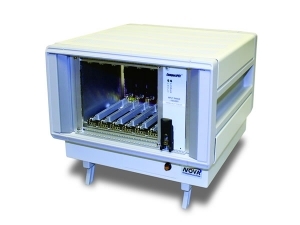 The Nova Integration Solutions (NIS) Class 4500 Development Chassis contains a portfolio of tabletop, lab grade convection cooled designs available in half and full width models for use with 3U and 6U boards. 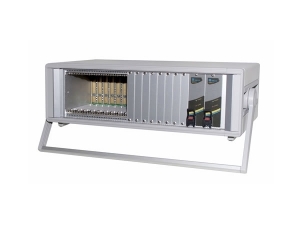 These chassis accommodate popular backplane types including 3U and 6U form factors of CompactPCI (PCI), VME, VME64x, VXS, OpenVPX, VPX or custom and support 80mm RTM modules. NIS’s small footprint, instrumentation-style enclosures utilize one or two PICMG 2.11 hot swap/redundant/N+1 plug-in power supplies with either AC or DC input. Optionally, hard mounted PSU’s or externally provided power can be accommodated. All models are aggressively cooled via removable fan tray with cleanable air filter. Optionally, the card guides can be replaced by a machined panels to facilitate testing of new air-flow-through plug in boards. 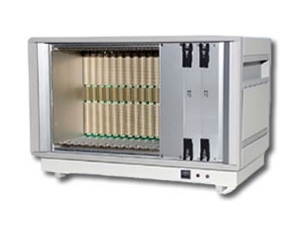 Development systems are also available for testing conduction cooled boards, contact NIS for details! The Class 4500 chassis may be configured with NOVA’s μP-based System Environmental Monitor (SEM). The SEM monitors and controls critical system operational parameters such as temperature, fan speed, and input and output power; additionally, the SEM contains user-definable analog and digital channels as well as HTTP and SNMP protocols (in firmware). 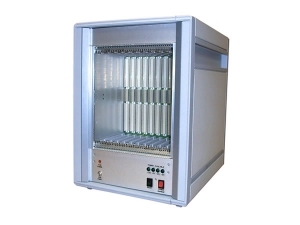 Custom I/O panels can be discretely wired or provided as an extension of a custom backplane. Aluminum extrusion body with 9mm steel covers. Cast aluminum decorative front and rear bezels.